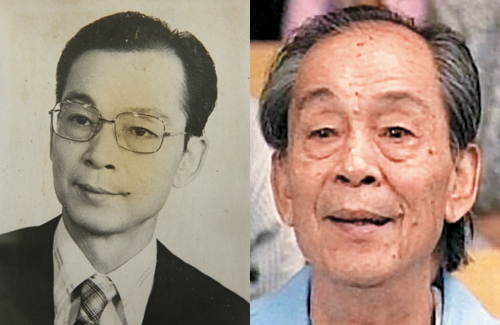 TVB veteran actor Suen Kwai Hing (孫季卿) passed away on November 30, 2015 at 83 years old. Suffering from a large tumor on his neck, Kwai Hing denied surgery due to his old age and continued to work for TVB until 2014. His last series with the station were Line Walker <使徒行者> and Overachievers < 名門暗戰>. In the 1950s, Suen had joined the PLA to fight in the Korean War. Moving from China to Hong Kong in the 1970s, Suen was unable to find clerical jobs. When a friend suggested he become an actor instead, Suen found work at RTV and later ATV. Joining TVB in 1984, Suen boasted over 31 years of expertise and played a wide variety of roles. Receiving recognition for this achievement, Suen Kwai Hing was the recipient of the 30-year-service gold medal during TVB’s Long Service Award Presentation in 2014. Besides being an actor, Suen was also a calligraphy artist. At a young age, Suen practiced calligraphy. In his past dramas, Suen often played highly regarded scholars in TVB’s costume dramas, reflecting his highly trained background. Don’t think he’s had many memorable roles, but he was a familiar face with a presence. Will miss seeing him on-screen. I remember him from watching 80s and 90s TVB series. He’s recognisable and there are plenty of actors and actresses who play small roles that still leaves an impression. Perhaps not as strong and defining as you would like but you tend to miss them once they are gone. RIP, may he in a better place. I read about this on the Chinese news site days ago and was so saddened. I saw him in so many series through the years and always remembered him even though his roles were not big. He left an impression on me as he always gave out a kind and warm aura. May he rest in peace and he will be missed. Rest in peace, the best Mr. Mo.